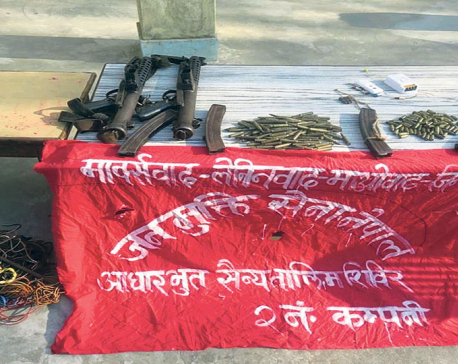 DHARAN, March 23: Locals have accused land mafia occupying land belonging to the Sardu Watershed Area and illegal selling the land. Though the government has already provided compensation to the locals while acquiring the land, the same plots of land are now being sold by the mafia taking advantage of legal loopholes. Although the transaction of land in the area has been restricted, the mafia have been carrying out the work in the guise of an NGO. Locals say that they have registered an NGO named 'Mark Nepal' so that they can carry out the land transaction arguing that the NGO has been working for the community and environment protection. 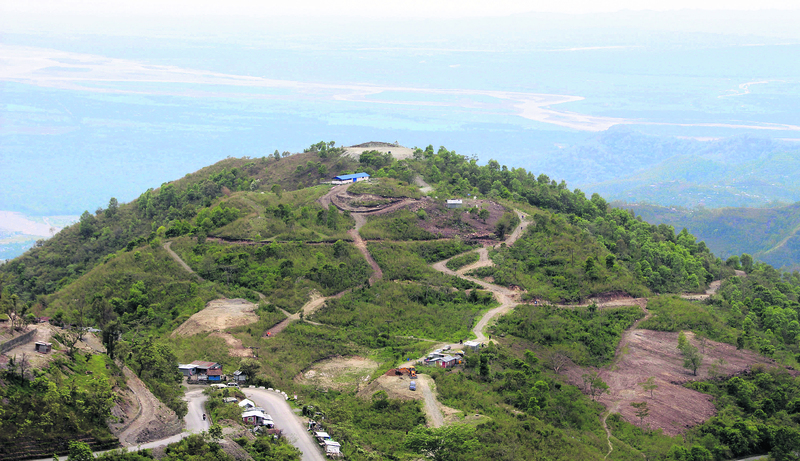 Massive scale of buying and selling of the land at Chhotimorang, Dharan, where the NGO is located, is going on these days. “They are selling one kattha of land for Rs 10,000. And the ones buying the land are no other than themselves. Actually, they established the NGO to create space for transaction,” said a local requesting anonymity. Stating that revelation of his name or identity might put him in trouble, the informant said that the mafia are very 'powerful' people who have connection with politicians. According to sources, the mafia have been raising money to manage water and electricity in the locality. “What is clear is that they are developing an entirely new settlement in the area,” said the source. Dharan sub-metropolis had stopped receiving application for electricity and water in the area a year ago. However, some sources said that the mafia have been settling the issue with the sub-metropolis officials. “The mafia have been spending limitlessly to buy the officials of the sub-metropolis. Although it is not allowed legally, the officials may now do something to provide water and electricity in the area,” the sources say. The watershed area has 12 bighas of land at Chhotimorang alone. And the mafia have been 'occupying' this land, according to the locals. Since the area lies near to the popular tourist destination Bhedetar, this place his high value, say some other section of the population. Though the mafia are apparently selling plots for low price right now, the locals fear that there is a big game going on inside. “First, they enter the land illegally and then later occupy it. Then they register the land. That's how the mafia have always been working across the country,” the source stated. Locals say accuse that those involved in the illegal work also include top businessmen. “One of them is a former chairperson of Bhedetar Rural Municipality. Such people have political connection,” the source added. Meanwhile, Jagat Rai, president of the NGO, refuted the charges. He stated that there is no involvement of mafia in the NGO. “It is a historical place and we thought it needs to be conserved,” he said. “The goal of our NGO is nothing more than conserving the environment and originality of this place,” he added. According to him, the NGO has been raising some money but it will be returned if it is not used for the said purpose. He did not accept that the transaction of land is any illegal business. “It is not that we are buying land. We have been raising some money from the land owners for some noble work,” he explained. “If we are not able to spend it for environment or other promised purposes, we are going to return them to the donors,” he added. It has been learnt that the land mafia became active a after the Supreme Court allowed the land to be used but ruled out buying or selling of the land within the watershed area. The decision of the apex court covered 42 bighas of land. According to Netra Kafle, chairperson of Dharan Sub– metropolis–13, the issue is serious. Though the court banned transaction of land, it allowed the use of the land by its owners. On the other hand, though the government provided compensation for the land, it has given space for the land mafia to hatch a plot by not completing the land transfer process. “The case of Sardu Watershed Area is still subjudice. So, a new settlement cannot be established here. If anyone is harboring such plan, it will not work,” he said. “Even if some people wrongfully do it, they will have to pay for it in the time to come. Such families will also suffer,” he warned. But there are many cases in the country where temporary settlements often turn into permanent ones. Basically, river and jungle areas have been captured by mafia that way.